Authors Ruiming Cao, Dr. Steven Raman and Kyung Sung. 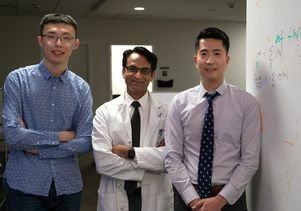 UCLA researchers have developed a new artificial intelligence system to help radiologists improve their ability to diagnose prostate cancer. The system, called FocalNet, helps identify and predict the aggressiveness of the disease evaluating magnetic resonance imaging, or MRI, scans, and it does so with nearly the same level of accuracy as experienced radiologists. In tests, FocalNet was 80.5 percent accurate in reading MRIs, while radiologists with at least 10 years of experience were 83.9 percent accurate. Radiologists use MRI to detect and assess the aggressiveness of malignant prostate tumors. However, it typically takes practicing on thousands of scans to learn how to accurately determine whether a tumor is cancerous or benign and to accurately estimate the grade of the cancer. In addition, many hospitals do not have the resources to implement the highly specialized training required for detecting cancer from MRIs. FocalNet is an artificial neural network that uses an algorithm that comprises more than a million trainable variables; it was developed by the UCLA researchers. 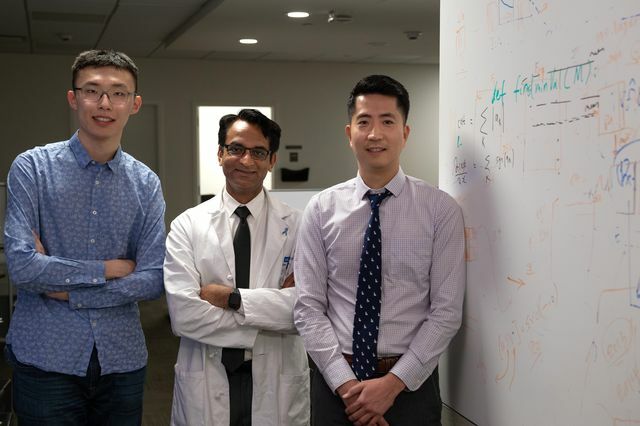 The team trained the system by having it analyze MRI scans of 417 men with prostate cancer; scans were fed into the system so that it could learn to assess and classify tumors in a consistent way and have it compare the results to the actual pathology specimen. Researchers compared the artificial intelligence system’s results with readings by UCLA radiologists who had more than 10 years of experience. The research suggests that an artificial intelligence system could save time and potentially provide diagnostic guidance to less-experienced radiologists. The study’s senior authors are Kyung Sung, assistant professor of radiology at the David Geffen School of Medicine at UCLA; Dr. Steven Raman, a UCLA clinical professor of radiology and a member of the UCLA Jonsson Comprehensive Cancer Center; and Dr. Dieter Enzmann, chair of radiology at UCLA. The lead author is Ruiming Cao, a UCLA graduate student. Other authors are Amirhossein Bajgiran, Sohrab Mirak, Sepideh Shakeri and Xinran Zhong, all of UCLA. The research is published in IEEE Transactions on Medical Imaging. The paper was presented at the IEEE International Symposium on Biomedical Imaging in April 2019 and was selected as the runner up-for best paper.